Roller hockey is a modified form of traditional hockey. Two teams of five skaters attempt to hit a ball into a cage at the end of the opposing team's side of the 'field' using a hockey stick. 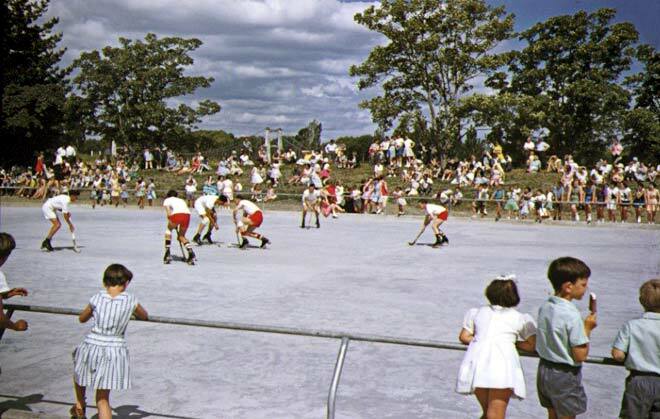 This match was held on the opening day of this skating rink in Masterton in 1959.